Sunny, out-of-the-way Languedoc, in southwest France, is an intoxicating part of the world. Stretching from the Mediterranean to the Pyrenees, it shares a balmy climate, winter wind, grapevines, and the sea with Provence, its better-known neighbor. But to me, Languedoc somehow feels more real. 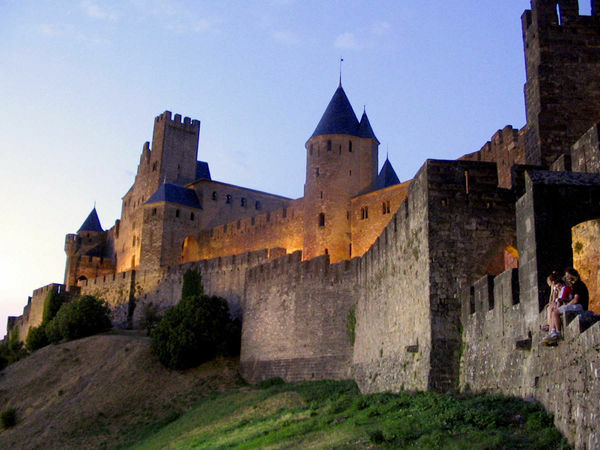 I first came here as a teenager, when I visited Languedoc's spectacular fortified town, Carcassonne. Sitting on the ramparts, I wrote in my journal: "Before me lies Carcassonne, the perfect medieval city. Like a fish that everyone thought was extinct, somehow Europe's greatest Romanesque fortress city has survived the centuries. I was supposed to be gone yesterday, but here I sit imprisoned by choice — curled in a cranny on top of the wall." Anyone can feel like a kid on a rampart in this ultimate walled city, but it's easier to savor its fairy-tale towers, turrets, and cobblestones if you don't have to swim against the midday mobs. Salespeople stand guard at the doors of their souvenir shops, creating a cheesy gauntlet of tacky temptations. But in the early morning, the evening, or off-season, a quieter Carcassonne is an evocative playground for any medievalist. During Carcassonne's golden age — the 1100s — troubadours sang ballads of ideal love, chivalry was in vogue, and a pragmatic spirit of tolerance ruled. The area became a center of the Cathars — a heretical Christian group. They opposed the over-the-top materialism of the Church, which put them on a collision course with the pope. But as France consolidated its central power, it clamped down on feisty groups like the Cathars, even in this remote corner of the country. The king and the pope joined forces to launch the brutal 13th-century Albigensian Crusades. The Cathars retreated to isolated strongholds in the hills, but in the end were ruthlessly wiped out. Today the ruggedly beautiful land around Carcassonne is dotted with their haunting castle ruins — the closest are those at Lastours and Minerve (accessible only by car and with a good map). Scrambling around remote ruins and meditating on medievalism always whets my appetite. In Languedoc, I go for stick-to-your-ribs cassoulet. This regional specialty is an old Roman concoction of goose, duck, pork, sausage, and white beans. Be warned: "Going local" here can get you tripe (cow intestines) or foie de veau (calf liver). Whatever you order, wash it down with one of the region's well-made wines. 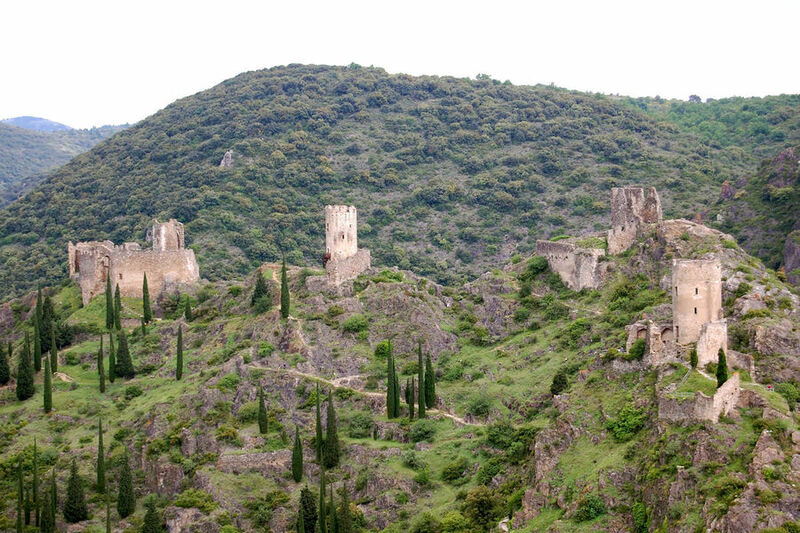 In these parts, the Cathars were also called "Albigensians" — named after the nearby town of Albi. This enjoyable river town of sienna-toned bricks and half-timbered buildings has two world-class sights: a towering cathedral and the Toulouse-Lautrec Museum. Albi's big and bold Ste. Cecile Cathedral is hard to miss — it's the biggest cathedral of brick in the world. It looks less like a church and more like a fortress. In fact, it was a central feature of the town's defensive walls. Built during the height of the Cathar heresy, this place oozes power — get on board, or get run over. Next to the church, the Toulouse-Lautrec Museum contains the world's largest collection of artworks by the famous hometown boy. Born in Albi in 1864, Henri de Toulouse-Lautrec was crippled from youth (probably because of a genetic disorder). His father, once an engaged parent, lost interest in his deformed son. Henri moved to the fringes of society, where he gained an affinity for other people who didn't quite fit in. Henri later moved to Paris and made his mark painting the city's underclass. His candid portraits — of winos, prostitutes, and cabaret dancers — are uniquely colorful and graphic. His advertising posters for Paris's theaters and dance halls were his bread and butter and today are some of his most recognizable works. Languedoc's hard-fought past and independent spirit are evident everywhere — in its landmark fortified city, ruined castles, hearty cuisine, and go-it-alone art. 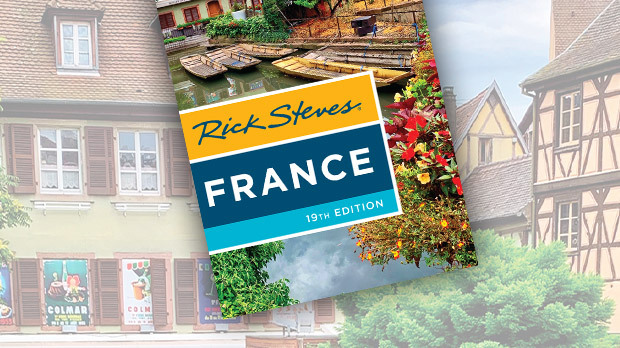 Venture to southwest France to discover this distinctly local culture.